Founded in 2014, Jewel homes Ltd is committed to providing local knowledge and expertise to ensure the best property deal for landlords and sellers. Our innovative and professional approach has ultimately established our status as an estate agent Coatbridge, Airdrie and other landlords and home sellers in East Central Scotland can trust for excellent service and quick results. It could be our Fixed Fee Sales, Fully Managed Landlord Services or simply our friendly and trustworthy staff. Whatever the reason, we have become the estate agent Airdrie and all other surrounding areas immediately thinks, and employs the services of, when in need of property assistance. For landlords, we provide an excellent, value for money service focused on matching the right tenant with the right property. We endeavour to enable a long-term, stable relationship that provides quality service for the tenant and an excellent return for the landlord. We also warmly welcome homeowners to come to us with their property requirements when they wish to sell their house. 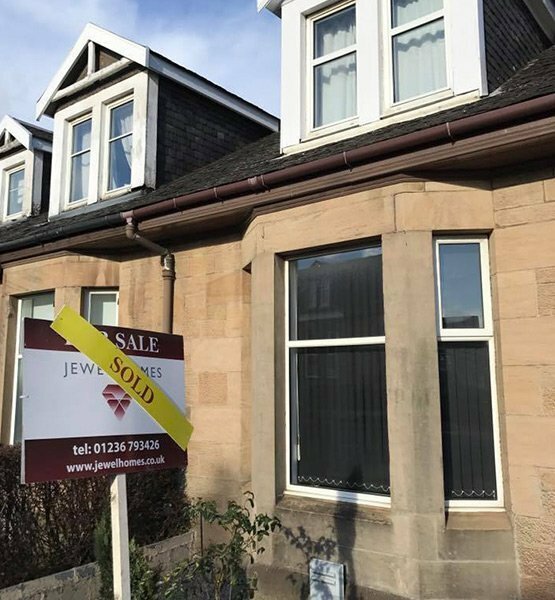 A fully-committed, market-leading estate agent Airdrie and East Central Scotland homeowners can rely on is what you will find with Jewel Homes. Our services for sellers include a highly cost-effective Fixed Fee for House Sales that allows for increased transparency and clarity during the full selling process. When you sell your home you want to know you are getting the best possible deal on the market that factors in all important considerations such as age of property, local area and condition. We leave no stone unturned at Jewel Homes to keep you up-to-date and informed every step of the way. Take advantage now of an estate agent Coatbridge is proud to call its own. For investors, our team of local experts are highly experienced and whether we are looking at a refurbishment or a ready to view property, we are able to find the right local properties that can provide an excellent return. As a result we are able to provide a minimum 10% gross yield for our investors. Although we are an estate agent Coatbridge and Paisley based, we provide the same unparalleled, committed service to all customers in the East Central Scotland area. Those looking to buy or rent will also find excellent properties available through our website. We only work with fair and reputable landlords with all properties assessed for their conditions, accessibility and value by a professional surveyor. We ensure a fair deal for all tenants and a fully comprehensive service throughout. Ultimately, if you want to enlist the services of an estate agent Airdrie, Coatbridge and Paisley – all major towns in Scotland’s Central Belt – turn to for professional and expert home and landlord services, then don’t hesitate, contact us now. Stewart, our local expert, was born and bred in Airdrie and is a proud father to a gorgeous baby boy. He’s had over 8 years of experience in Sales and Lettings and helping people find their ideal home gives him the biggest sense of satisfaction. Having an entrepreneurial mind-set has meant Stewart not only survived, but also succeeded during the recession which forms the foundation of setting up a strong business for Jewel Homes. Vikki, our local lettings expert, grew up in Bellshill and now living in Uddingston with her two gorgeous children and her fiancé. She genuinely enjoys matching people to homes and certainly shows a real skill in it. With 6 years’ experience in local lettings, Vikki is only satisfied with providing high quality customer service to both landlords and tenants. 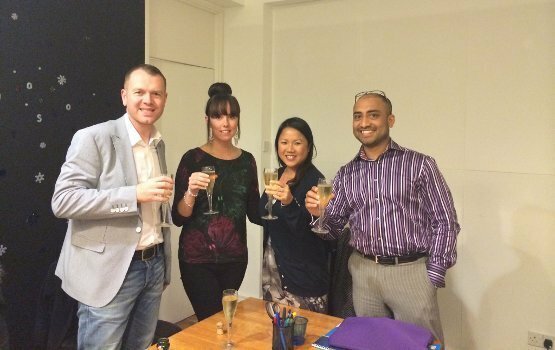 Ky Le, an Australian now living in London with her boyfriend, has a Marketing background as well as having over 2 years experience in Property Investment in the UK. She was professionally trained by Tigrent Education in 2012 and now invited back to be part of the training crew. Over the 2 years, her portfolio has grown to 7 BTL properties, both in England and in Scotland and is now passionate about helping other investors invest in their future through property. Tanio is from India and now calls the UK home, living in the leafy outskirts of London, with his beautiful wife and two lovely girls. Tanio started his Property Journey over 10 years ago, also trained with Tigrent education and has now built a property portfolio of 16 BTL properties with a market value worth over £1.5 million and is undergoing his first commercial deal. His real passion is to help others find their direction in property investment and finds real satisfaction in seeing them succeed.